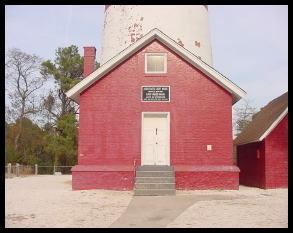 With the establishment of the Cape Henlopen lighthouse at the southern end of the Delaware Bay and the Cape Henry lighthouse as the southern entrance to the Chesapeake Bay, a tremendous dark spot remained in between these two major lights. With no aids to navigation to assist mariners around and away from the dangerous shoals and reefs extending from the coastline, navigation was often difficult and dangerous. 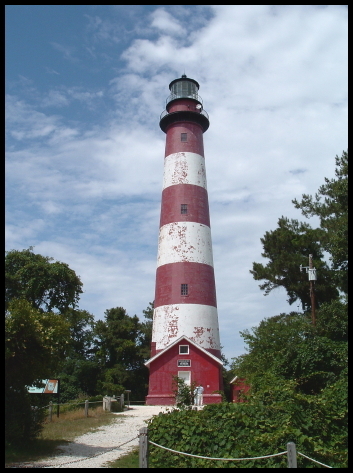 In 1831 congress appropriated funds to construct a lighthouse at the southern end of Assateague Island, attempting to eliminate the dark spot between the two bays. Its lamps were first lit in January of 1833, and it was quickly realized that the tower did little to guide mariners. 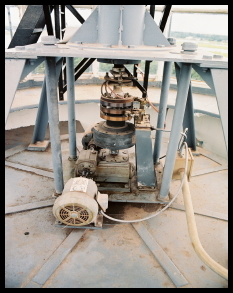 Even though the tower proved to inadequate, the tower remained in service until construction of a new tower was begun. Interrupted by the outbreak of the Civil War, construction of the lighthouse ceased until the war ended. With the war over, crews quickly finished their work and lamps in the new tower were lit in October of 1867. 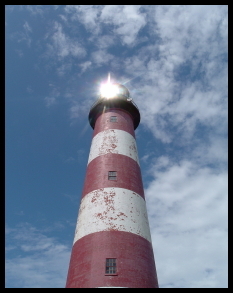 With the use of a first-order Fresnel lens, the new lighthouse was a grand improvement to its predecessor, and its light could be seen up to nineteen miles at sea. 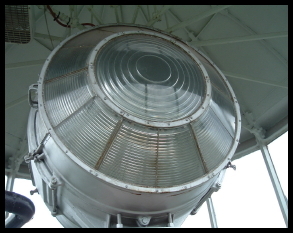 With improving technology, the first-order lens was removed and replaced with two modern rotating DCB-224 aero beacons, automating the light. 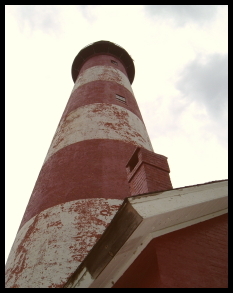 The Fresnel lens was placed outside the tower for visitors to see and enjoy and is awaiting restoration. Over time, the lens began to be damaged and was then moved to the Oyster & Maritime Museum, located just to the west on Chincoteague Island. 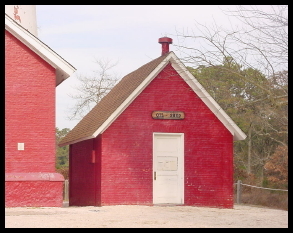 To visit the Assateague Island Lighthouse, take Hwy 13 to Hwy 175. Continue on Hwy 175 until you reach Chincoteague Island and follow the signs to Assateague Island. A pass is required to enter the refuge (When we were there, the fee was $5.00 and was valid for seven days). Once you are through the "toll booth," make a right and follow the signs to the lighthouse. There is a small sand parking lot on the right side of the road. From there, follow the path through the wooded area to the base of the lighthouse. This interior view of the oil shed gives and idea of how large this builing is. 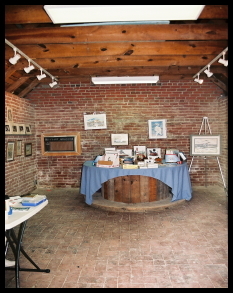 The storage building in front of the lighthouse tower is divided into two rooms. This is the left room in the builing. 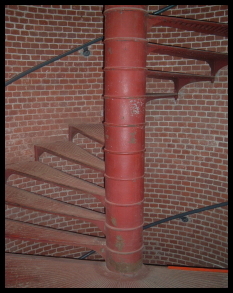 A view of the center post and stairs in the lighthouse. This is the motor that rotates the beacons. This is a small opening in the centerpost of the stairway. 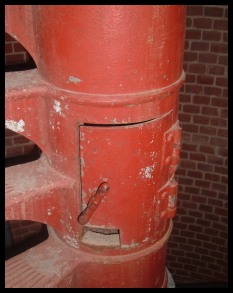 This is a close up of one of the two aeromarine beacons which emit the light from the lantern room. 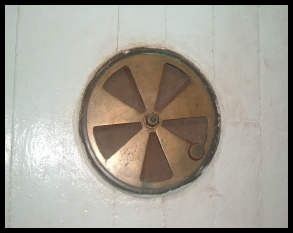 Scattered around the watch room are a number of these ventilators, which helped disperse fumes from the lamps. The sunlight reflecting of the glass of the lantern gives the appearance that the light is own. Looking up the grand old tower. The top of the tower stands out in sharpe contrast against the threatening sky's. 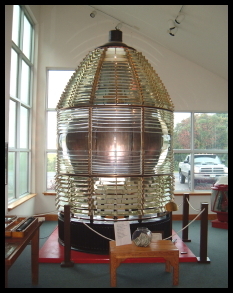 This first order Fresnel lens use to broadcast the light from the lantern room. 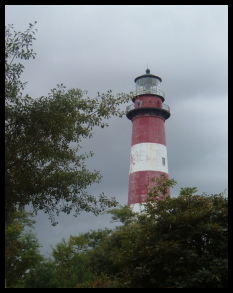 Today, the lighthouse is located in the Chincoteague National Wildlife Refuge and is under the care of the Coast Guard and the National Parks Service. 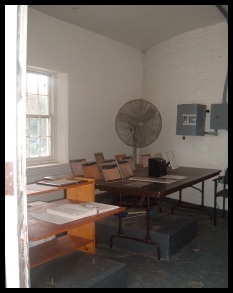 Occasionally the lighthouse is open to the public for tours. Contact the Chincoteague National Wildlife Refuge for more information. Chincoteague National Wildlife Refuge, PO Box 62, Chincoteague, VA 23336 (757)-336-6122.